We’re happy to announce that the new look and new books are finally here. 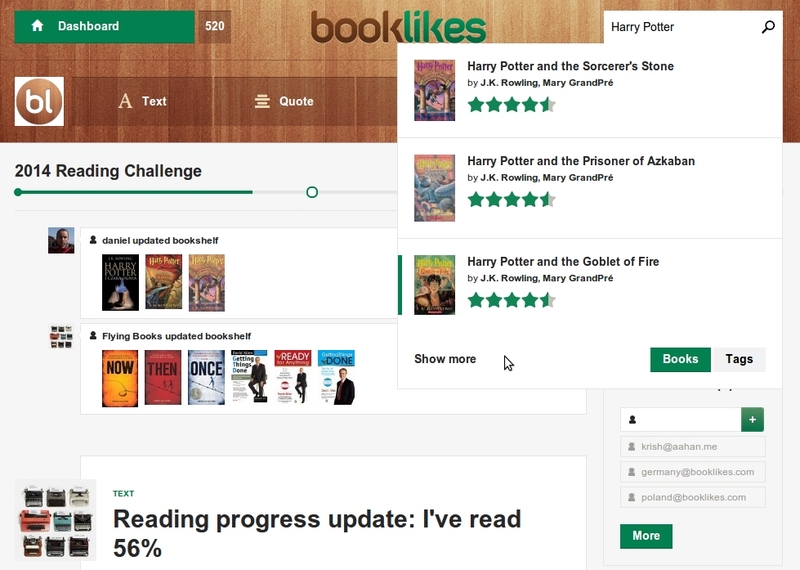 Are you ready for details and re-discovering BookLikes? We’ve pointed out new options to make everything clear. 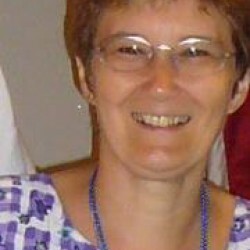 The changes were made in several areas: book search and books in general, the look, layout and navigation. 1. 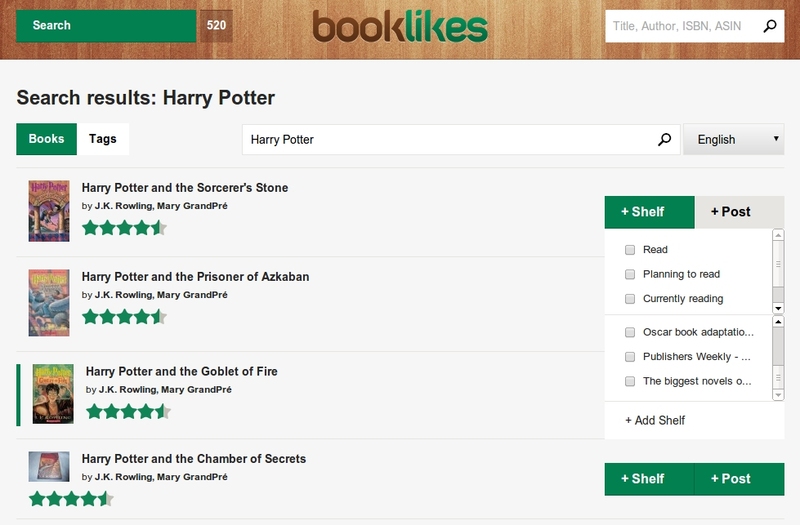 You can search all books available on BookLikes via search box on the top of your Dashboard. 2. You can choose Search language (language for book catalogs) in Settings/General. The you’ll look through books in a given language version. 3. When you type Title, ISBN or author in the search box you’ll be moved to the book search results page where you can use a Quick Add to Shelf and Quick Post option. 4. If you won’t find the book, you can search the title in different language. You can choose between 8 languages: English, German, Spanish, French, Italian, Polish, Portuguese and Dutch. 5. To find a given format, type ISBN or ASIN number in book search box. 6. The search box works as tag search - just choose books or tags in search results. Upcoming: more book language catalogs. 1. Book Pages present a given title, editions, most recent reviews by BookLikes Community, reviews from people you follow on BookLikes and your private notes. 2. To go to the book page of a given title click the book cover and “Book Page”. 3. Majority of book editions are joined together, you can look through other editions of a given title in the Other Editions box on book pages on the right. Upcoming: The page of Other Editions (with info of format and language) with Quick Add to Shelf and Quick Post option. Book moderators to edit, combine and add book information. 1. Dashboard received a renewed look with easy to follow navigation; new menu is on the left. 3. Messages and notifications have a shared place on the top next to the menu. 4. Reading Challenge is moved to the top so now it’s really easy to follow your reading progress. To see you Challenge books, click the Reading Challenge title. Upcoming: New book related and community related dashboard features. 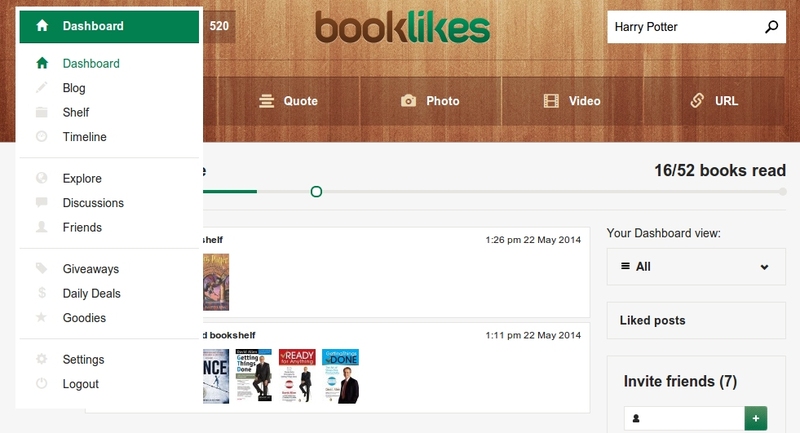 As you can see BookLikes received a new look. All places and pages were renewed and given a fresh touch. 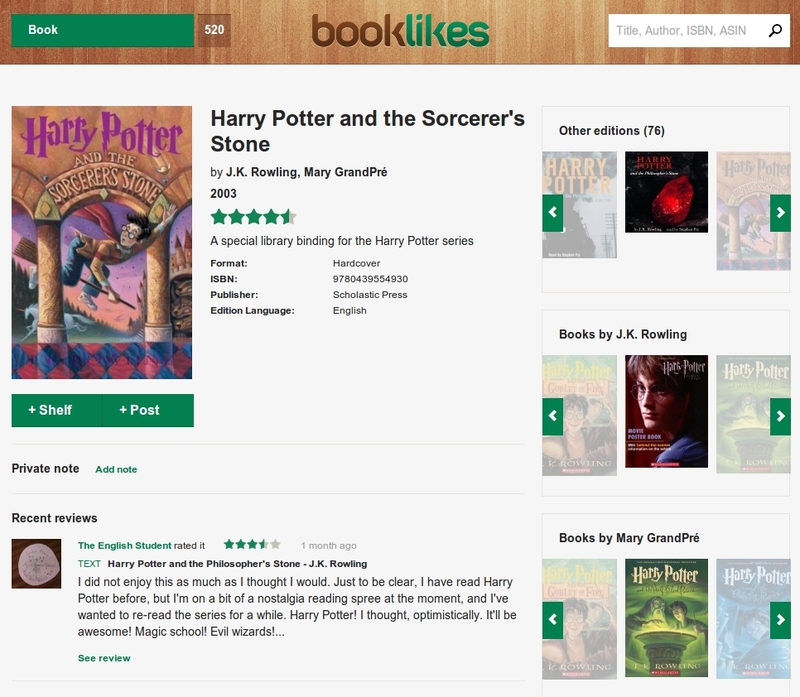 We believe this change makes BookLikes’ layout simpler, brighter and cleaner. You’ll probably need several minutes to get used to it but we must say we’re very happy with the outcome. Hope you’ll love it too. Important: Your books, reviews and posts should be just fine and in the right place. However, due to big changes to book database and all book-related options on BookLikes, some minor changes on your shelves are possible (e.g. book covers and editions). We did all to make this big change as smooth as possible and we’re sorry if we messed your books in any way. We hope that today’s new book options and the upcoming features will sugar the pill of any potential problematic matters. All options except one stay active on BookLikes. Due to changes to book database we temporarily turned off affiliate programs which will come alive soon with better usability.